Location: Aman hugs the east wall of the Summer Palace – one of Beijing's most historic treasures about 13 km northwest of the Forbidden City. There are no major sights, dining or bars within walking distance so keep that in mind and hire a driver should you wish to venture further out. Style: The resort's Qing Dynasty dwellings once served as waiting rooms for imperial audiences. 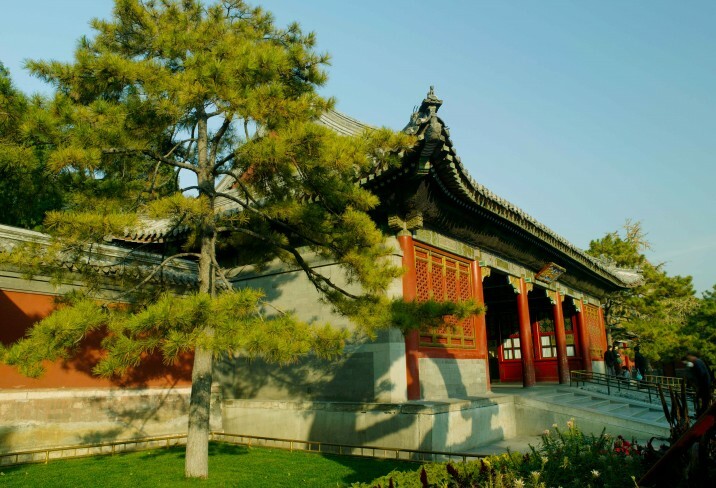 Today, they offer direct and exclusive access to the Summer Palace’s treasures. Throughout the resort, there's a symmetrical labyrinth of criss-crossing courtyards and covered walkways. As you stroll across polished tiles of the complex, a soothing soundtrack is provided by performers plucking the guzheng (a traditional Chinese instrument). Rooms: Surrounding a tranquil inner courtyard, rooms are set in clusters of three pavilions and are clad in natural hues and polished wood inspired by the Ming Dynasty. Suites are zen-like and romantic, with grand four-poster beds and luxe day-beds. With deep sunken baths, double sinks and traditional Chinese lamps the bathrooms have a spacious and luxury feel. The Imperial Suite is its own compound, which sprawls across three pavilions, with a private spa treatment room and floor-to-ceiling carved-wood panels. Try and snag a room in the courtyard closest to the palace’s wall: the echoing sound of the daily Chinese opera performances in the morning that wafts over from the great stage of the Summer Palace will transport youto the pinnacle of the Chinese empire. Food: Theres a trio of restaurants which service a variety of guests. A grill which offers a predictable yet satisfying menu of steaks and burgers, a Chinese restaurant serving dim sum and classic cantonese dishes and a Japanese restaurant that offers small sharing plates. Breakfast offers a spread of international favourites such as eggs, pancakes and typical asian dishes. Check out the afternoon tea in the library for a buzzing atmosphere. Drink: The Reflection Pavilion is a traditional red-framed structure with a picturesque terrace that overlooks a gorgeous lotus pond and is a great spot for sunset drinks. The Cigar Room is clad in dark panelled wood and plush bar stools which offers a premium cigar menu popular with local visitors and a top tier selection of spirits. Oh, and there's also a juice bar for the health-focused guest. 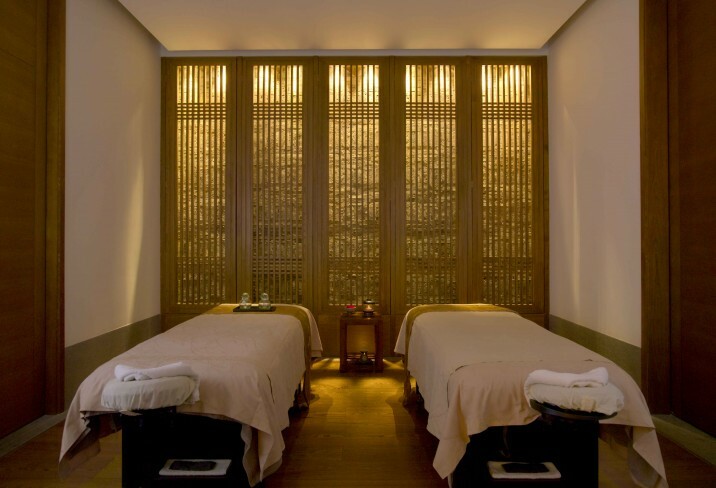 Spa: The spa sprawls over two floors as an underground zen-like temple devoted solely to your wellbeing. Each of the nine treatment rooms has its own bath tub, shower, steam room and massage area. Connect with your chi with a treatment menu designed by the Qing Dynasty’s own Chinese medicine practice. Acupuncture, herbal poultices and cupping form the heart of the spa’s offering, but there’s plenty for those seeking pure relaxation such as heated gemstone massages, wild jasmine wraps and ginger-rich scrubs. Kick-start a new you in the fitness suite, an impressively hi-tech, sky-lit space kitted out with Technogym equipment and Pilates reformers, offering daily classes at 2pm. The hotel’s personal trainers will happily put you through your paces at the squash courts or in a personal training session. 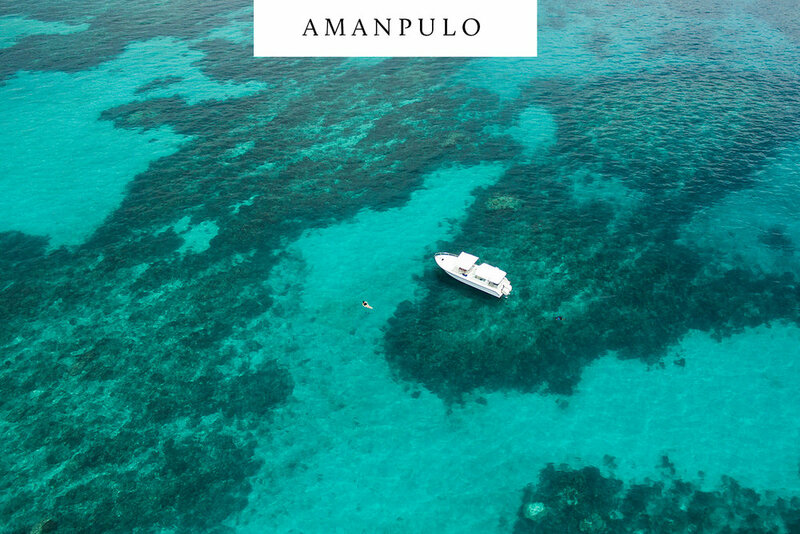 Pool: The temperature-controlled 25m pool is a hidden retreat and a glimmering deep blue masterpiece. Rows of loungers and day-beds line the pool's edges where one can easily switch off. CHILDREN: The pool and cultural activities on the resort's doorstep make it ideal for families.